“Dodes’ka-den” left a strange taste in my mouth, where I appreciate making the best out of a bad situation but truly despised the way this film turned out in the end. 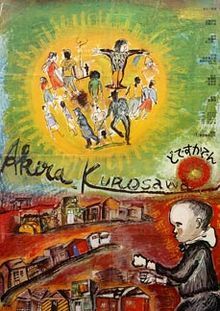 This is the newest Akira Kurosawa movie I have seen in years, and it came at a time when Kurosawa was about to be let go by Toho Studios, for continually making films that were far too American for Japanese audiences to appreciate, yet “Dodes’ka-den” might be his most Japanese-rooted film. The film is set in a makeshift garbage town on the outskirts of Tokyo, and it follows dozens of people who live in trash and burned-out houses when the biggest and brightest metropolis is just out of their reach. The connecting thread among these stories is a young mentally-challenged boy who wants nothing more than to be a tram conductor and so he goes around the town in an imaginary tram, with him making all the noises and complaining about the service team not keeping it in good shape. There are loads of characters this film follows, including a young girl working herself to death when her aunt gets sick and her uncle begins to mistreat her when she gets tired, a silent man with the eyes of a dead person and his lost love, a business man with a strange tick and his obnoxious wife, a father and son living in a burnt out car who dream of a owning a massive house, and two couples that regularly switch husbands. What I appreciate about “Dodes’ka-den” is that you see the humanity and kindness in all these people, but you also understand why they are in this terrible place. Some make bad life decisions, others have crappy judgment, while a few were just dealt bad hands and have always been dealing with hard times. Most of these characters are either working their best to get out of this place, or have come to enjoy their new homes. The boy in the imaginary tram never seems like he wants a different life, despite children picking on him and his mother, and is genuinely happy to be where he is. One might think the message of “Dodes’ka-den” would be to love the life you are dealt with, not the one you want. But then we get to the ending of some of these stories and they take a sour turn. Like dropping a lemon and a bunch of sour patch kids in a carton of milk that is about to expire – that’s how sour this movie gets. Without spoiling how some of these tales end, especially the girl working too hard and the father and son living in the car, their resolutions come far too quickly or suddenly and seem to oppose the overall message of the film. What could have been a happier tale about finding the best in a bad situation turns to disturbing mess that ends abruptly. Overall, I enjoyed parts of “Dodes’ka-den” but the ending makes me question the journey I just took. 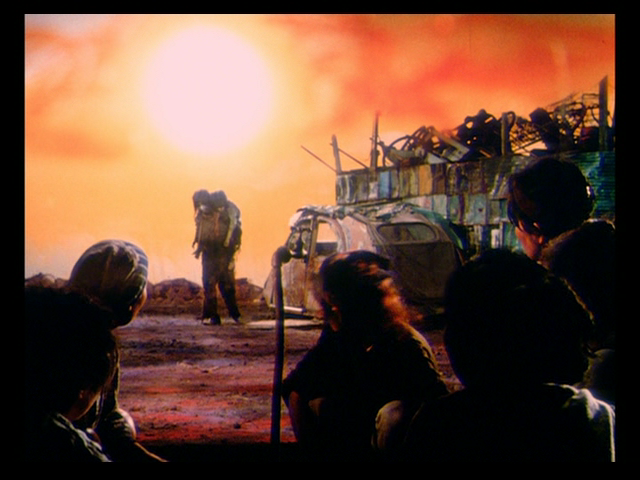 Not the best outing from Akira Kurosawa, but I appreciate this look at a world I would not have considered otherwise.